Isla Sugbu Seafood City, operated and managed by Kuya J Group, recently opened its first Manila branch at Venice Grand Canal in Taguig City. 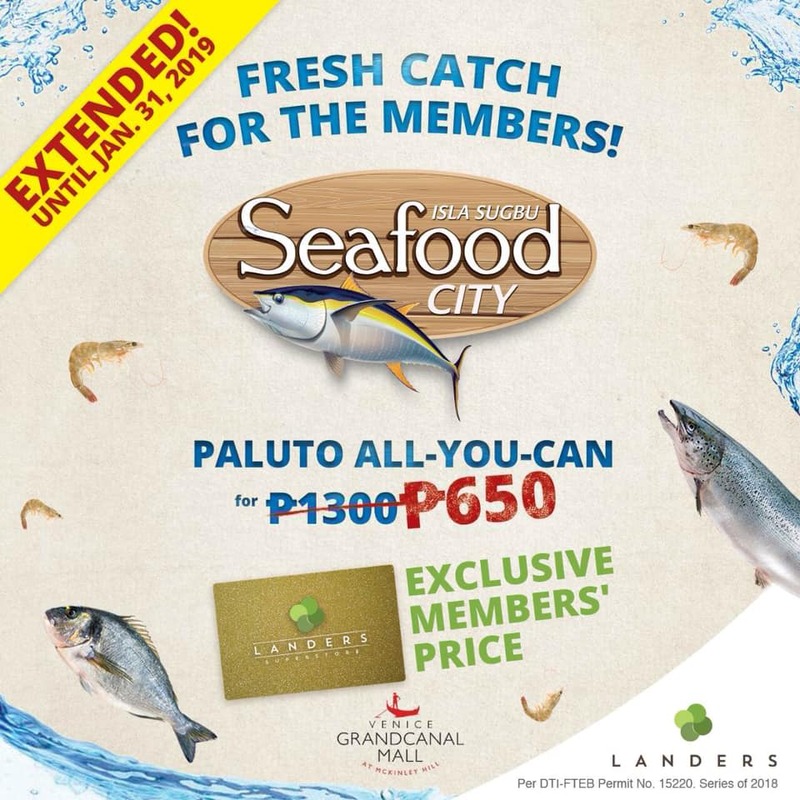 Named the best seafood restaurant in Cebu, Manila diners can now experience Seafood City’s unique offering of Paluto ­All-You-Can. 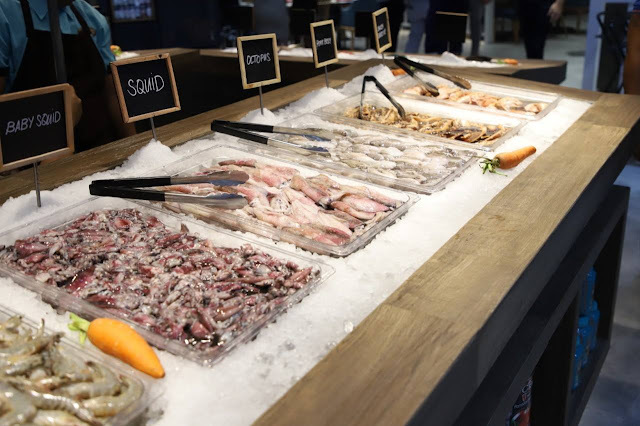 It allows diners to choose from the restaurant’s wide array of fresh and live seafood, have it cooked to their liking, and repeat the whole process until they are satisfied. Present during the opening were: (from left) Kuya J Group president Winglip Chang, iCorner general manager Don Tirol, and Gretz Rivera of Unido Holdings Isla Sugbu Seafood City, operated and managed by Kuya J Group, recently opened its first Manila branch at Venice Grand Canal in Taguig City. 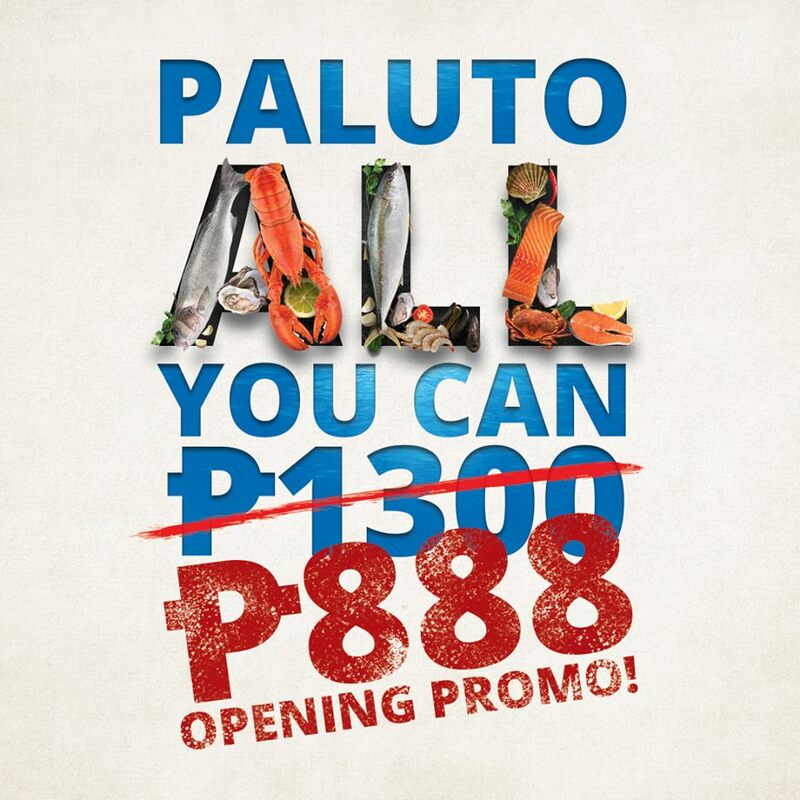 Best of all, as part of its opening, the regular Paluto All-You-Can price of P1,300 per head will be offered to customers at a promo rate of P848 for lunch on weekdays (Mondays to Thursdays, 11:00 am to 3:00 pm), and P888 for dinner (Mondays to Thursdays, 6:00 pm to 11:00 pm) and all day weekends (Fridays, 11:00 am to 3:00 pm, 6:00 pm to 11:00 pm and Saturdays and Sundays, 10:00 am to 3:00 pm, 6:00 pm to 11:00 pm). 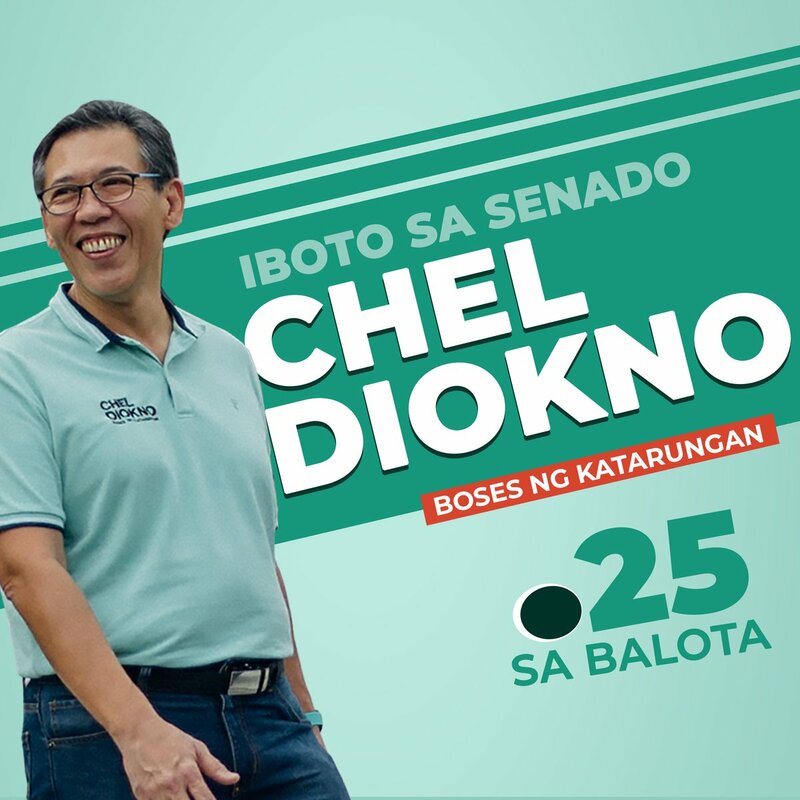 The opening promo runs until February 28, 2019. 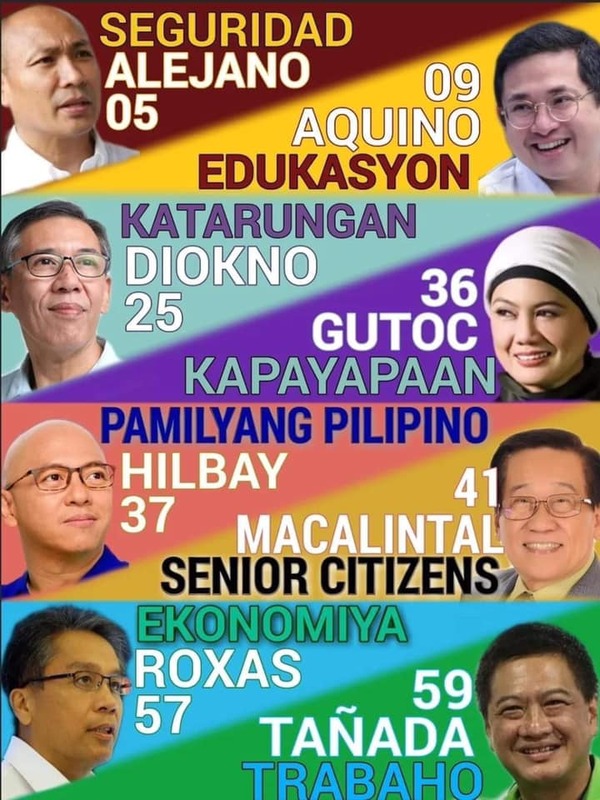 And, here's good news to all Landers members - The Paluto All-You-Can Promo at 50% off (exclusive to Landers members) is EXTENDED until January 31, 2019! Yes, that's right, Landers Superstore Members. That means more days for you to enjoy our wide selection of fresh and live seafood! 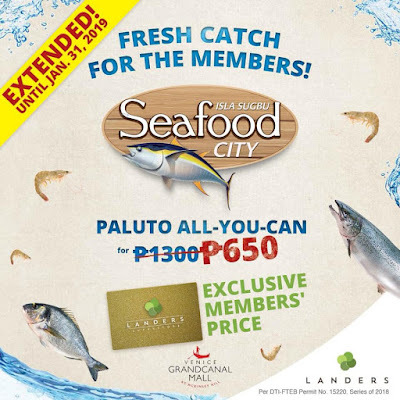 Just remember to present your Landers membership card at Isla Sugbu Seafood City Venice Grand Canal Mall.